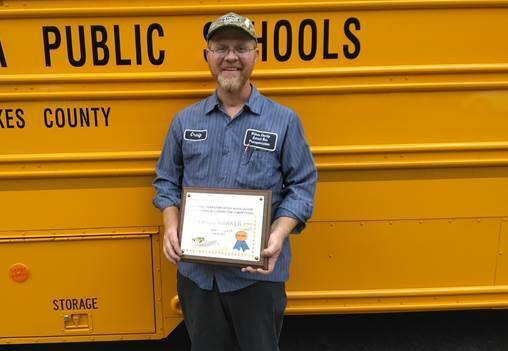 Craig Barker of Wilkes County, since 2014, won the NC Best Bus Inspector Contest at the NCPTA summer conference. 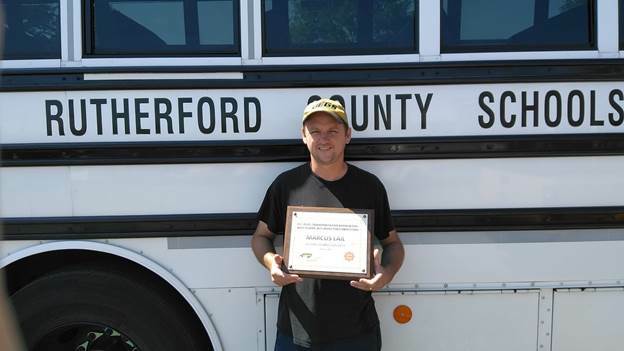 Craig received a prize of $500 and a trip to Columbus Ohio in the fall to represent North Carolina at the national competition. Finishing in second place by one point is Ricky Callender of Brunswick County. Steadily climbing up in positions, Ricky placed fourth in 2016 and received a prize of $300. He will also move on to the national “America Best” competition for the diagnostics event. 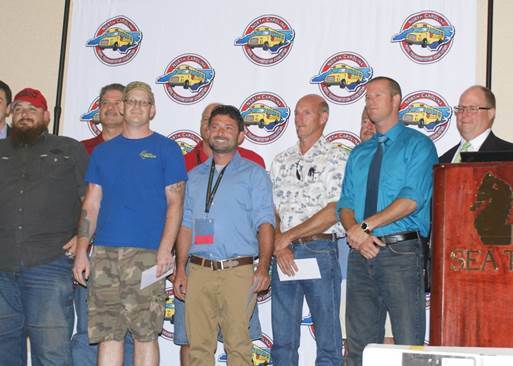 A fellow veteran of the annual competitions, Marc Lail of Rutherford County took Third Place and a prize of $100. 30 competitors completed a 50 question written test. The top 12 scores proceeded to the practical hands on event. Competitors were challenged to identify as many defects as possible on 3 dummy buses. Thanks, and appreciation to all who entered the contest. Hope to see you next year. 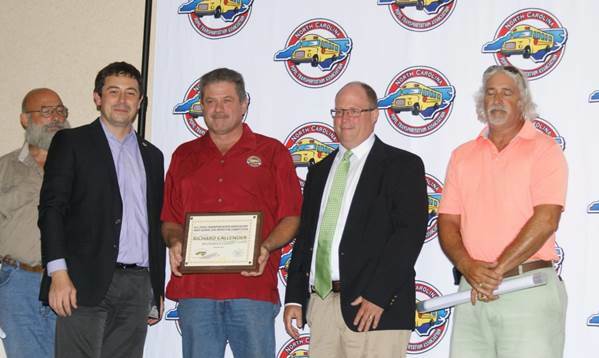 NCDPI would like to give a special thankyou to Brunswick County for providing the buses and to NCPTA for their financial support of the competition and winners.